Are you looking for the smoking gun in your car or bike accident case? These days, the evidence you need is likely captured on video from one of the millions of traffic cameras that perch above American highways and streets. Chances are good there’s video coverage to prove it. But how do you go about getting that all-important footage? There is only one step you need to take, and it can be accomplished the second you get to a phone after your accident. The very first thing you will want to do is contact a good personal injury lawyer in your area. You should not have to be concerned about costs, since personal injury lawyers work on contingency. This means if they take on your case, you will not owe a dime until your case is won, and the money will simply be taken out of your settlement. If you lose the case, you owe nothing. This is great news for you since you can be assured your lawyer will work very hard to win your case. Police are not required to tell you anything about area traffic cameras after your accident. It’s often difficult to find out who operates the camera and where, and for how long, the footage is stored. 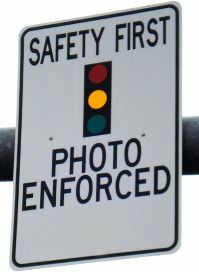 Here in Atlanta, traffic cameras are operated by either the Atlanta Police Department or GDOT. Finding out which, the length or storage, and how to acquire the footage is a complicated and time consuming process. There are various forms and requests you can fill out to obtain the footage, including a FOIA request, but the process can take a long time and presents many obstacles. The footage may not be archived for very long. For those injured in traffic accidents, unfortunately the burden of obtaining the footage is on them from the start, the process is overly complicated and daunting. Locate the traffic cameras in the area, as well as footage from local businesses’ surveillance cameras. Find out who operates the cameras, where the footage is stored, and for how long. Obtain the footage through expertise gained in years of practice. Why go through all the obstacles, forms, dead ends, and frustrations when you can have an expert do it for you? Your personal injury attorney will exhaust every resource in tracking down that footage to assist with your case. So if you’ve been in an auto accident caused by another driver, been knocked off your bike or hit as a pedestrian while following the rules, or any other contested traffic situation, rest easy in knowing the footage that can clear you most likely exists. And the right personal injury lawyer will be able to locate it, if you talk to them soon enough. After your accident, make that call. The clock is ticking.